Add 4-Pin L3/R3/Touch Button Harness? Add 5-Pin to Hitbox Conversion Harness? Add Neutrik SCDP Rubber Boot? Add 3mm Adhesive PCB Feet? Taiwanese company Brook - designers of the popular family of Super Converters and one of the first manufacturers whose converters managed to gain tentative acceptance by EVO - offers an cost-effective solution to PS3, PS4 and PC control. 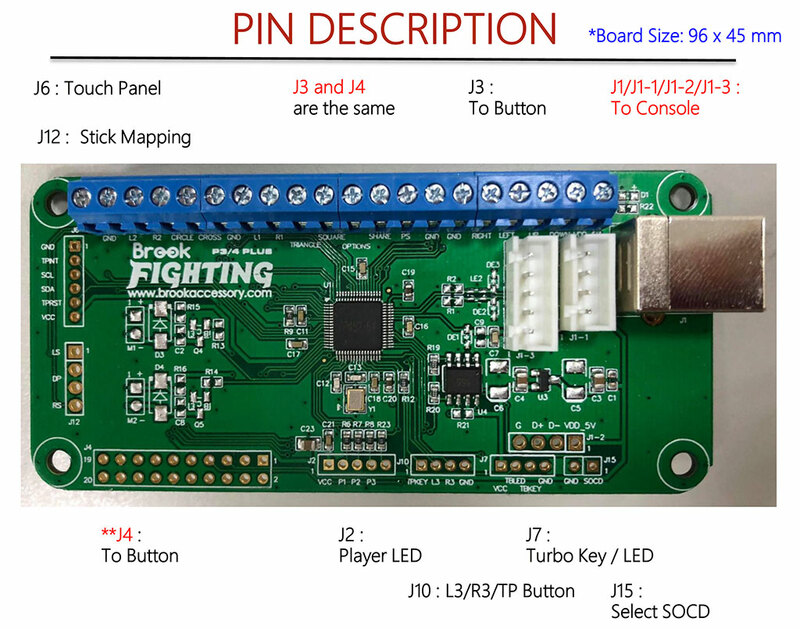 The Brook PS3/PS4 Fighting Board Plus is the marriage of Brook PS3 PS4 Fighting Board + (PS4/PS3/PC) and a breakout board with connectors. Unlike the Brook PS4+ Fighting Board with Audio v2017 (PS4/PS3/PC), this does not come with the audio breakout board. However, the version we're offering will retain many of the connectors and headers that are now part of the Universal Fighting Board. At $50, it's a great price for those looking to to upgrade an older Fightstick, or create a new one without a heavy investment in the controller. 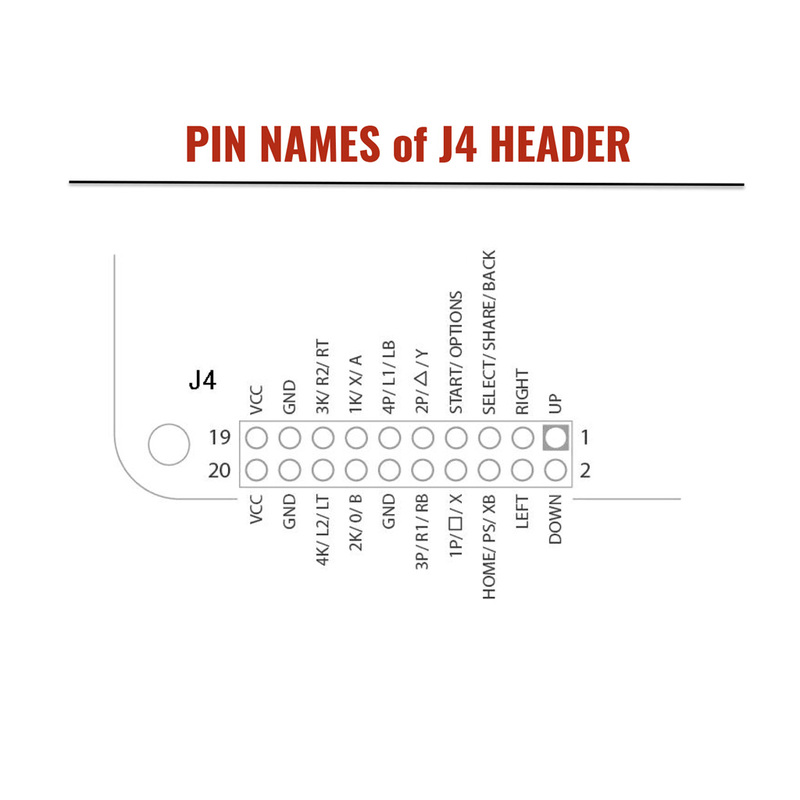 The inclusion of JST headers instead of pin headers allow you connect our 4-Pin L3/R3/Touchpad Button Harness to this model, along with the PS4+ Fighting Board and Universal Fighting Board. As now common in the Brook family of PCB boards, you can utilize USB 2.0 B printer cables to connect to the board, such as the 18 Inch Male A-B USB 2.0 Cable which connects to a Neutrik NAUSB-W-B A/B USB Feed-Through, or the 10 Foot Male A-B USB 2.0 Cable. Firmware upgradeable system via USB connection. Please see "Support" tab for links to latest firmware and additional wiring information. No 8 minute timeout reset needed. SOCD Cleaner support via pin connector (J15). Screw terminal for solderless connections. 20 pin (2x10) housing for future expansion or connection to other PCBA. JST and pin headers available for VCC, player 1-4 LEDs, RS, DP and LS mode, touch pad, touch pad button, Turbo button, and alternative USB output connector. Three connectors (J1, J1-1, J1-2 and J1-3) for USB wiring, in addition to USB-B port. 96x45mm (3.77" x 1.77") dimensions. Near identical form factor and connections to Brook Universal Fighting Board with Headers makes installation familiar to most joystick builders. The Brook PS4+ Fighting Board includes the PCB with headers. The device is wrapped in a padded static-free pouch, and encased in a protective, professionally-designed box. Software support is upcoming from Brook's website. 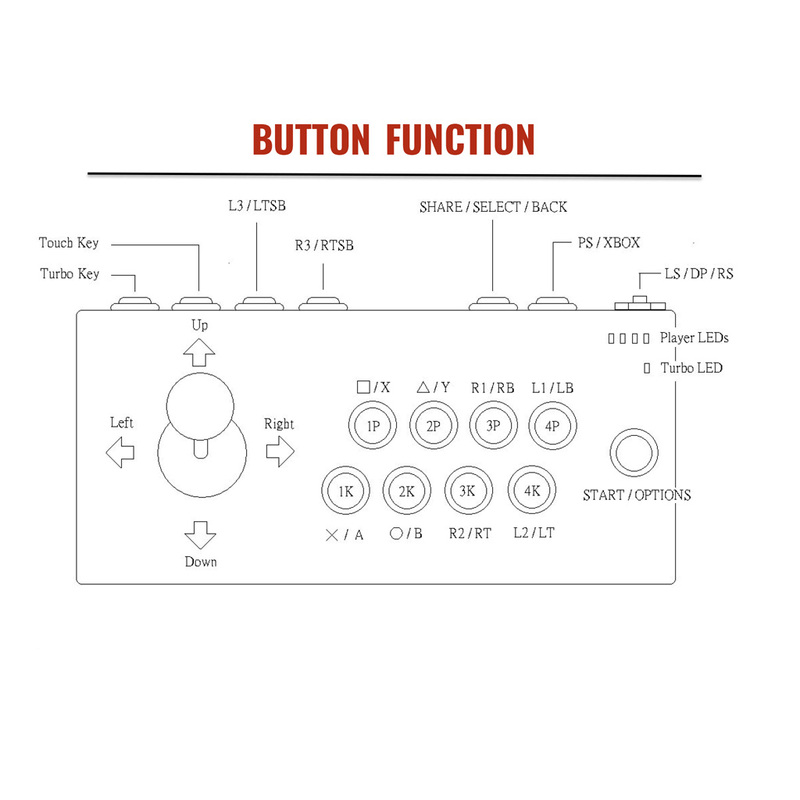 If you considered replacing your existing FightStick PCBA or building a custom joystick of your own, the Brook PS3/PS4 Fighting Board plus is one of the most economical ways to get started. 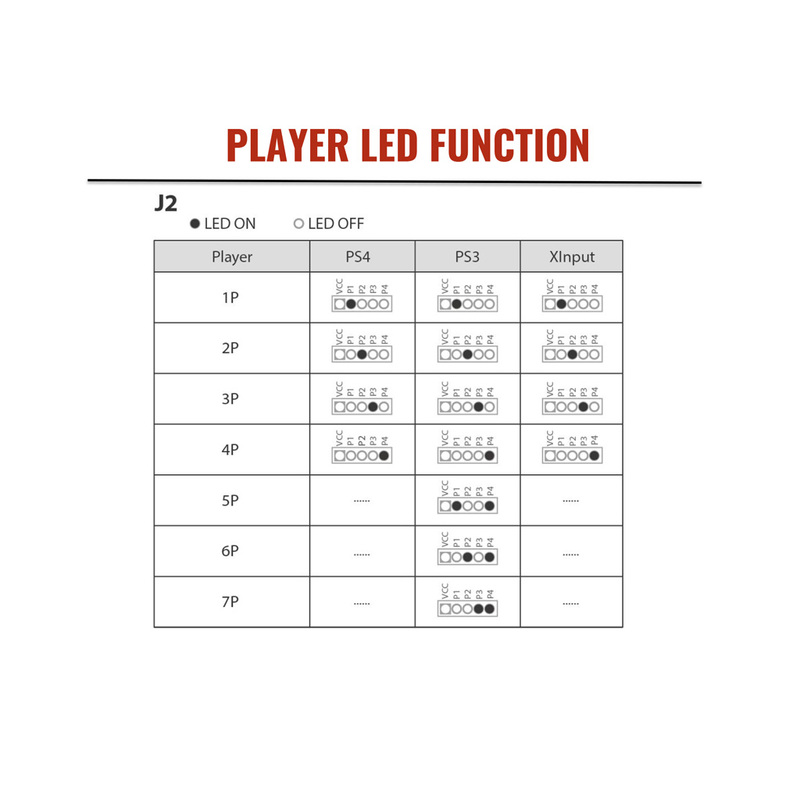 Firmware updates, plus update guide for the Universal Fighting Board are available via Brook's website. Occasionally Sony's firmware updates have removed Brook's PS4 support. Brook is quick to update their firmware to address it. When you are purchasing for the first time, it is always worthwhile to check that you have the latest firmware installed for the device. Order this NOW! The only way to understand. Packaged Perfectly! Came fast! PLUG & PLAY. MIXED with FOCUS ATTACK'S A1 TOP QUALITY CUSTOMER SERVICE It's a Triple WIN. Went right into my Mayflash F500 no issue at all and worked straight away. I had to do minimal soldering to make the share and Playstation buttons work up top, but the board is super easy. Literally just plug in and go. Don't have to use an adapter to play on PS4 for anymore and get the best frame rate possible :-D.